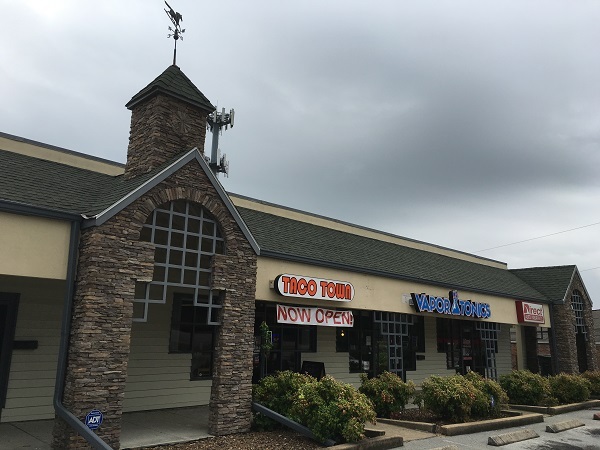 Taco Town, Hixson TN – Marie, Let's Eat! 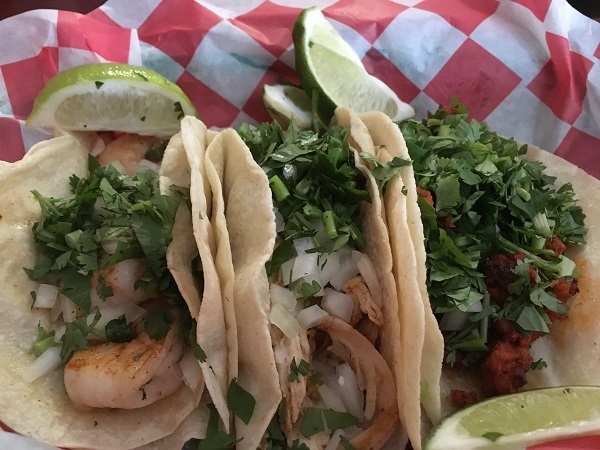 We have visited several Mexican restaurants in town looking for the best tacos. 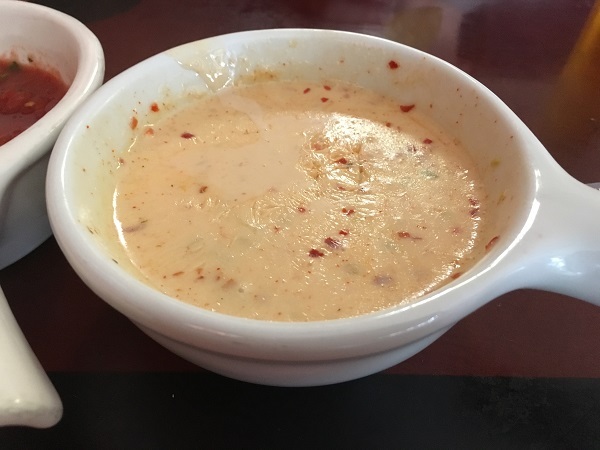 Even though I’m becoming a little weary about going up and down TN-153, our current favorite place is a no-frills joint on Hixson Pike with some great salsas and an amazing cheese dip. 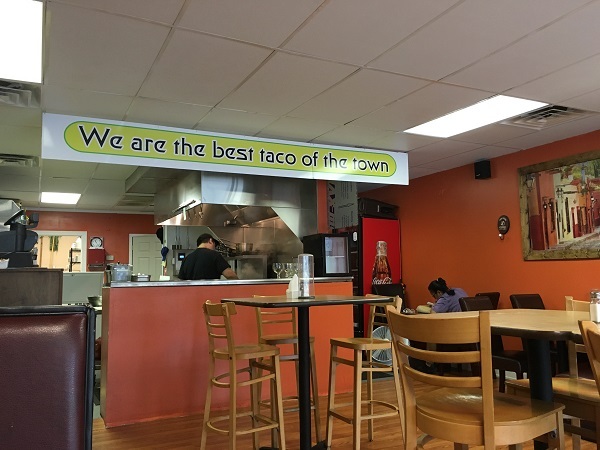 Taco Town opened earlier this year and I had read some pretty promising stories about them (linked below). We first visited in late September and had such a good time that we came back the following week. Marie loves the carnitas, and our son, who is flabbergastingly picky about Mexican food, agreed that the refried beans -n- cheese tacos that they made to our specifications were wonderful. The service has been a little… well, scatterbrained is not a bad word to describe it. On our second visit, we waited a strangely long time for the cheese dip, and ate most, but not quite all, of our complimentary chips and salsa while we waited. Our server put down the dip, noticed we would soon need a refill, and took the basket away to refresh it. She was gone for four minutes, while the dip, this delicious dip, cooled and taunted our inability to eat any of it. I didn’t hold it against her. The food is just too tasty for grudges. We never order cheese dip in restaurants, but this is a really special little treasure made with pico de gallo, so it’s just a little spicy. It’s the best cheese dip anywhere, and I’ve grown to start licking my lips in anticipation before taking my seat in the place. These tacos are nicely priced at two bucks each and the meats are so good. We really enjoy the carnitas and chorizo most of all. Rather than a salsa bar, they bring four squeeze bottles of different hot sauces to the table, and each is made fresh regularly. Marie believes the pork, cilantro, and onions are just fine on their own. I like just a little of their hottest sauce on my sausage. The great thing is that the prices are just right for lots of experimentation and sampling. We’ve visited three times and really enjoyed each visit. They’re streets ahead of most of the local competition and I’m glad we found the place. Posted on November 2, 2016 by Grant G.Posted in chattanooga, mexican, tennesseeTagged chattanooga, hixson, mexican, tennessee.